"As the year ends, it's nice to become nostalgic of what had been and be optimistic of what will be of the coming year"
Continued from the year 2016, pagnapagna started the year with its obsession of the creatures of the sea that had its humble beginning as an egg buried under the sands. This is the only time that they live in the land and if they were females lucky enough to grow as adults, they will surely will be back on the same vicinity to lay their eggs. They are the Sea Turtles. With CURMA as the lead agency taking care of them along the coast of San Juan, La Union, I got the chance to see hatchlings released from their hatchery. Curiosity made me go and see. Way back during my childhood, I've been hearing about "Crystal Cave" of Baguio City and it is only now that I got a chance to visit but unfortunately, on its sad state that it was crossed out from the tourist spots list. 2017 was also filled with waterfalls. 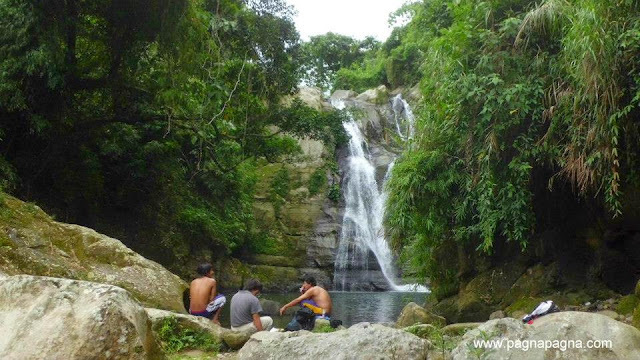 From the waterfalls of Bagulin which is the "Bulalakaw Falls", to the waterfalls of San Gabriel, "Dub-ong Falls" of La Trinidad, Burgos which are the "Shopdisan and Budahaw falls", to the "Puy-ocan and Lengsad Falls" of Santol. At San Gabriel, I was invited to a birthday celebration as a bonus, I got to see "Bimmito Falls, Quilong Cascades and Lipit". At another day, I went to see "Bingaongao and Agag-aso Falls". 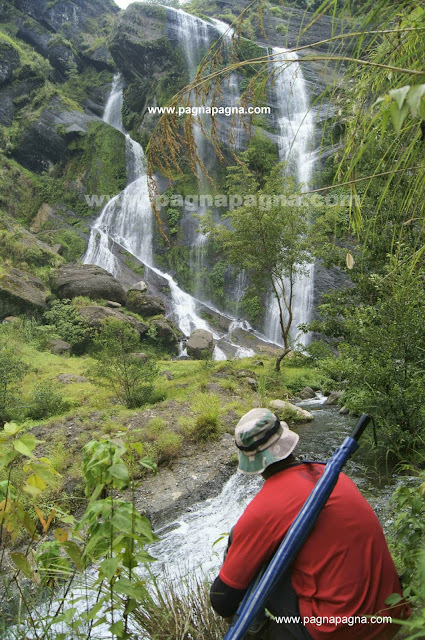 Well, never forget a solo walk exploring the waterfalls of lower Aneng river in Sablan, Benguet. There was this "something old and something new" at Luna, La Union. 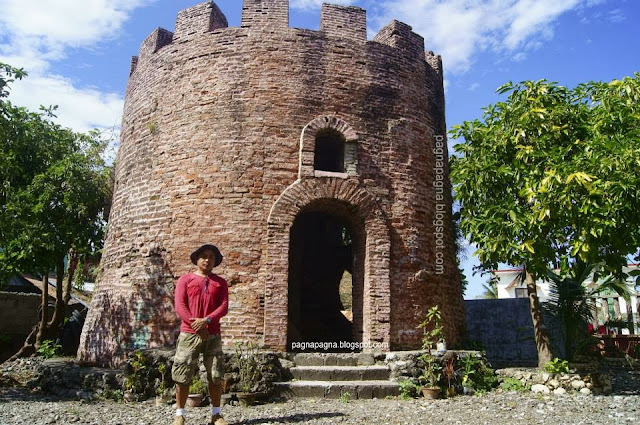 The newly reconstructed Baluarte watchtower. A rock formation in Santiago called "Napisi a Bato" or "Splitted Rock". Lots of walking or pagnapagna this 2017. From patrolling the beach area of San Juan to Baroro (Bacnotan) for Sea turtle crawls, walk from La Trinidad to Tuel (Tublay) and Atok to Mt. Timbak towards the end of the year. "pagnapagna" got to visit an old friend at Tadian, Mountain Province and got to see again Mt. Mogao and Gawaan lake while "pagnapagna" got visitors also from the Cordilleras where we went to see two waterfalls at Suyo, Ilocos Sur which was the "Dawara falls and Sangbay ni Ragsak". Met sir "Dozen" of Red Clay Pottery at San Juan, La Union. Let's keep our environment clean. 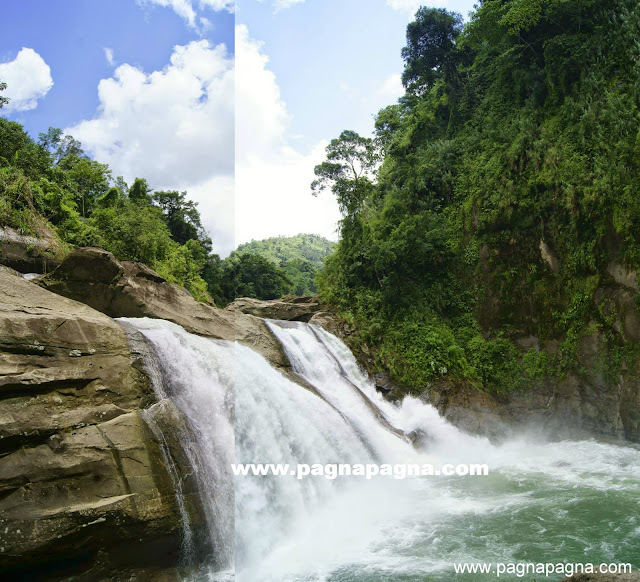 During the International Coastal cleanup day, pagnapagna went to the river that leads to Tangadan Falls. Practice the "LNT" or the Leave No Trace outdoor ethics. 2017 had many solo travels for pagnapagna. One of them was at Cervantes, Ilocos Sur for the "Budoy Falls". Explored some of the La Trinidad's mountain tops like the one at "Ambiong", "Mt. Kalugong", "Mt. Tayawan" and "Mt. Yangbew". Baguio City's Public parks were also visited. Had a walk in Rizal park, Malcolm Square, Sunshine park and Igorot garden. With the arts, pagnapagna was with "Habol Eksena 2017" an arts and music event organized by the "Latag" artists of Baguio city. To my art group where I belong, the "La Union TIMPUYOG Artes ti Ilocandia", we had a plein air where we watched flocks of egrets come back to roost. 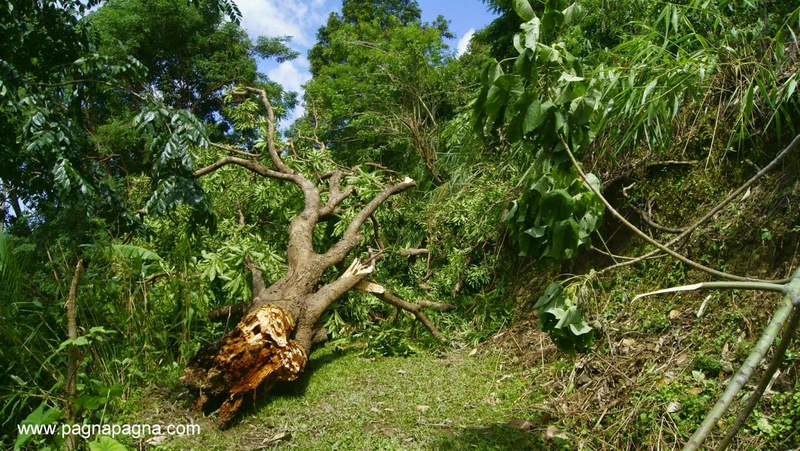 It was a Blessed day indeed when we saw a man lying helplessly near a waterfall with a severe cut in his arm. We went also to the shores for the "Kasay Sanktwaryo" which is a marine sanctuary. All in all, It was a great way to be exposed with all of these. It was a great way to gain knowledge, to be compassionate, to be in touched with the culture and arts, the places and people of these two regions of our country. 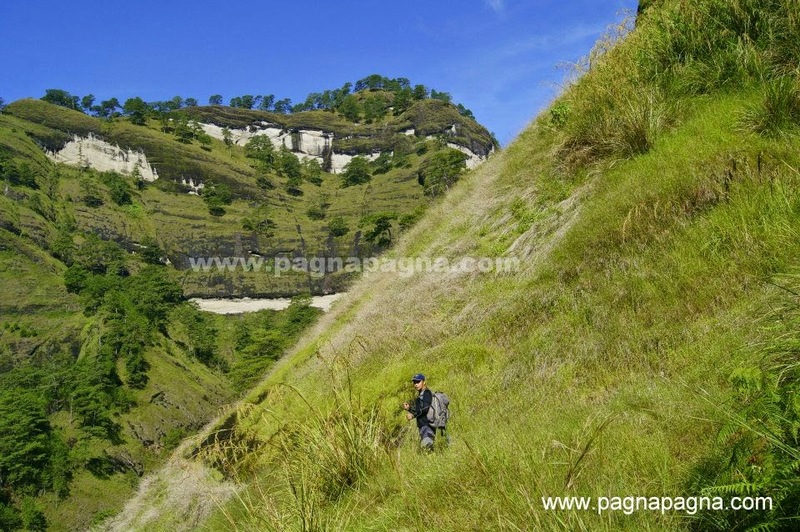 The Ilocos region and Cordillera Administrative region which pagnapagna call it Home Sweet Home. "NAPISI A BATO (BIAK NA BATO)"
"BALUARTE: SOMETHING OLD, SOMETHING NEW"
"THEY CALL IT SANGBAY LOVE"
"RED CLAY POTTERY CRAFT (PAGDAMILIAN)"
"WHERE TO GO FOR A VISITA IGLESIA IN SAN FERNANDO, LA UNION"
"BUDAHAW FALLS: MY SECOND TIME AROUND"
"A WALK FROM HALSEMA TO TUEL, TUBLAY, BENGUET AND BACK"
"SANGBAY OF BAUANG, LA UNION"
"A BLESSED DAY AT SANGBAY FALLS"
"VISITING AN OLD FRIEND IN TADIAN FET. MT. MOGAO AND GAWAAN LAKE"
"USAPANG TORTOL (TURTLE TALK) 2017"
"CRYSTAL CAVE OF BAGUIO CITY: HOW IS IT NOW?" "PINSAL FALLS OF ILOCOS SUR"
"ISEM- SMILE TOWN'S WATERFALLS. BALAY ANITO AND SIMINUBLAN FALLS"
"POBLACION, BAKUN FET. MT. KABUNIAN"
"MT. YANGBEW OVERLOOKING THE LA TRINIDAD VALLEY"
"ZIM-SIM-UG TWIN FALLS OF AROSIP ECOTRAIL"
"TRANSLATION 101-2B KALINGA (TANUDAN AREA)"
"WATERFALLS OF BENGUET AND BAGUIO CITY"
"SPANISH WATCHTOWER #10: BADOC [ILOCOS NORTE]"
"MY TWO DAYS IN ABRA: KAPARKAN FALLS"
"WATERFALLS OF TUBAO, LA UNION"
That was a year of pagnapagna and back! We travel to study and learn, to give back in return. We travel with a purpose and cause. We travel with a goal. We travel to say something. We travel to see and observe. We travel to help in our own little way. We travel for ourselves, we travel for others. We travel to question and seek answers. We travel to look at life within or at a distance. Stop, Look and Listen! Know your purpose in travelling! that we call Home Sweet Home!